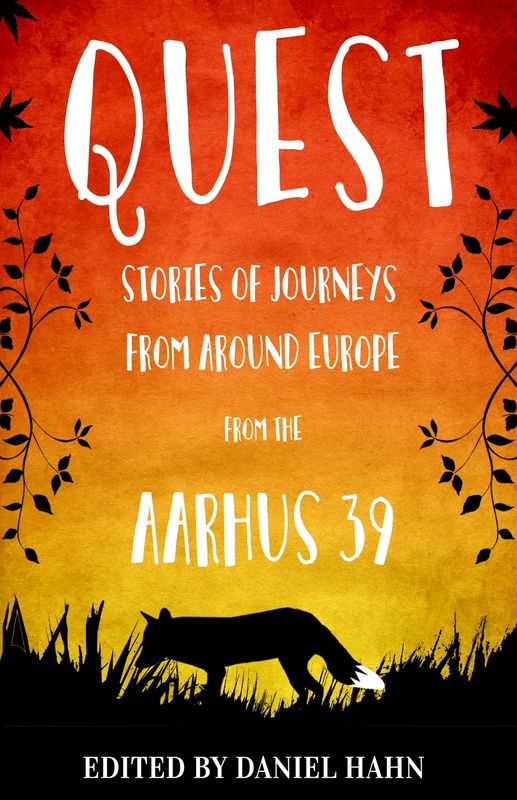 View basket “Quest: Stories of Journeys from Around Europe from the Aarhus 39” has been added to your basket. Quest, a volume of seventeen stories aimed at children, will whisk you away from dark bedrooms to new dimensions and fantasy realms, via the Russian countryside and modern Rome. You’ll encounter talking field mice, invisible friends, flying kraiks, white elephants, runaway books and wardrobes that act as magic portals. Hopping across all sorts of genres and showcasing authors from all over Europe – from the Basque country and Cyprus to Iceland and the Czech Republic – this book is certain to broaden horizons and engage the reader in all kinds of fun. Hay Festival is delighted to present Aarhus 39, a two-volume collection of the best emerging writers for young readers from across wider Europe. 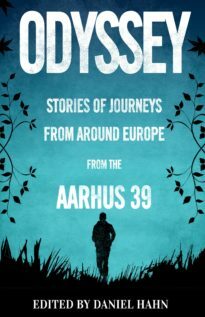 Three of Europe’s best-loved children’s authors – Matt Haig (UK), Kim Fupz Aakeson (Denmark) and Ana Cristina Herreros (Spain) – have selected thirty-nine writers under the age of forty, and invited them to write an original story on the theme of “journey”. These new stories, together with the specially commissioned illustrations that accompany them, are a celebration of great new writing for young people and reflect issues facing them in contemporary Europe. Reading stories of other people’s lives and journeys extends understanding and empathy to new generations. Illustrators: Adam Stower, Axel Scheffler, Benji Davies, Chris Riddell, Ian Beck, Joel Stewart, Neal Layton, Ross Collins, Tony Ross, Anna Höglund, Barbara Nascimbeni, Cato Thau-Jensen, Charlotte Pardi, Kamila Slocinska, Lilian Brøgger, Moni Port, Philip Waechter. [The stories] are all readable are clearly translated, each with a specially commissioned illustration. This is a worthwhile project and a useful anthology for junior schools, and is also a testament to the cultural unity of European childhood. Aarhus 39 is a collection of the best emerging writers for young people from across wider Europe. The authors have been selected by three of Europe’s much-loved writers – Kim Fupz Aakeson (Denmark), Ana Cristina Herreros (Spain) and Matt Haig (UK) – and commissioned to write an original story to the theme of ‘Journey’. 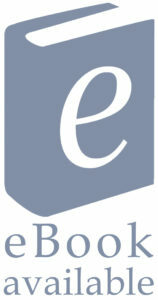 Authors: Katherine Rundell, Anna Woltz, Aline Sax, Laura Dockrill, Ludovic Flamant, Nataly Savina, Maria Parr, Ævar Þór Benediktsson, Alaine Agirre Garmendia, David Machado, Jana Šrámková, Dy Plambeck, Antri Antoniou, Maria Turtschaninoff, Stefan Bachmann, Katherine Woodfine, Annelise Heurtier, Finn-Ole Heinrich, Stefanie de Velasco, Annette Münch, Peder Frederik Jensen, Michaela Holzinger, Nina E. Grøntvedt, Endre Lund Eriksen, Elisabeth Steinkellner, Salla Simukka, Cathy Clement, Sandrine Kao, Inna Manahova, Laura Gallego García, Sarah Engell, Gideon Samson, Ana Pessoa, B.R. Collins, Sarah Crossan, Sanne Munk Jensen, Victor Dixen, Cornelia Travnicek. Illustrators: Adam Stower, Axel Scheffler, Benji Davies, Chris Riddell, Ian Beck, Joel Stewart, Neal Layton, Ross Collins, Tony Ross, Anna Höglund, Barbara Nascimbeni, Cato Thau-Jensen, Charlotte Pardi, Kamila Slocinska, Lilian Brøgger, Moni Port, Philip Waechter, Barroux, Britta Teckentrup, Dave McKean, Ella Okstad, Helen Stephens, Peter Bailey, Satoshi Kitamura, Anke Kuhl, Hanne Kvist, Isol, Joelle Jolivet, Jörg Mühle, Kitty Crowther, Mårdøn Smet, Ole Könnecke, Rotraut Susanne Berner, Sandrine Kao, Serge Bloch, Søren Jessen, Yvonne Kuschel.